If you've been on Netflix lately, you've probably noticed that the romantic comedy is having a comeback (I'm talking about Set It Up, which is so so good). 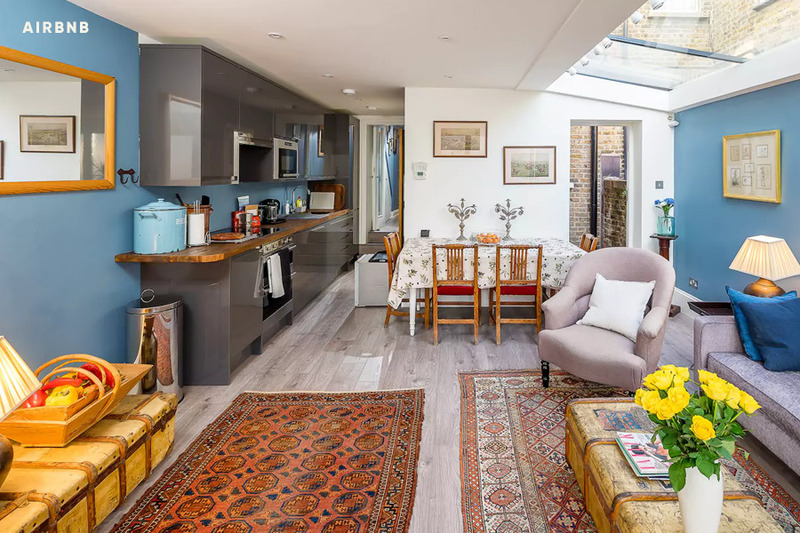 It's a good thing too because I, for one, am starving for the tastefully decorated apartments and wanderlust-inducing locales that the genre (along with it's parent category, romance) often sweeps us away to. 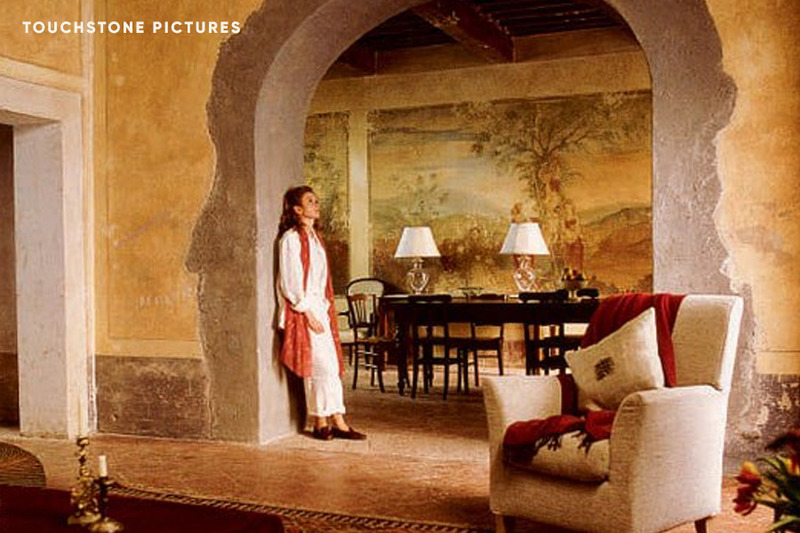 Recently, CN Traveller wrote about the gorgeous villa from Under The Tuscan Sun. 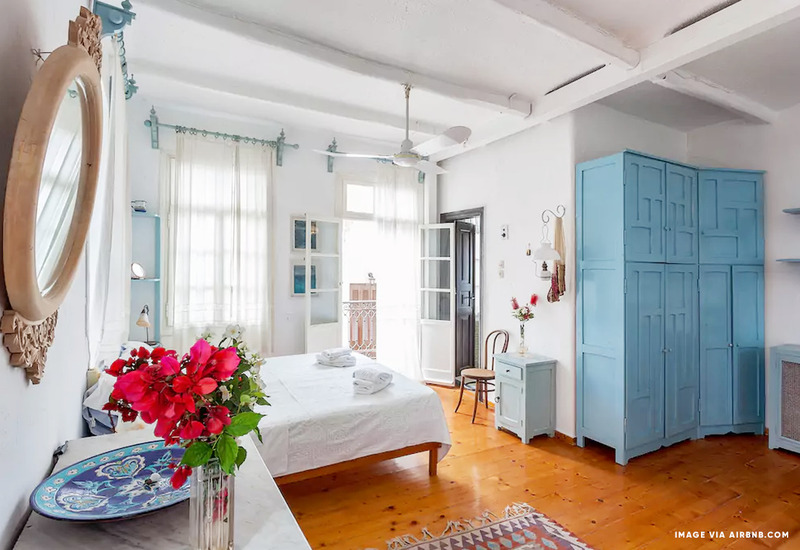 Turns out you can stay there for real— as long as you've got around twenty friends or family members who are willing to split the $2,391/night fee. For those of us who mostly travel with our partners, our friends, or god forbid— alone, it's all a bit out of reach. 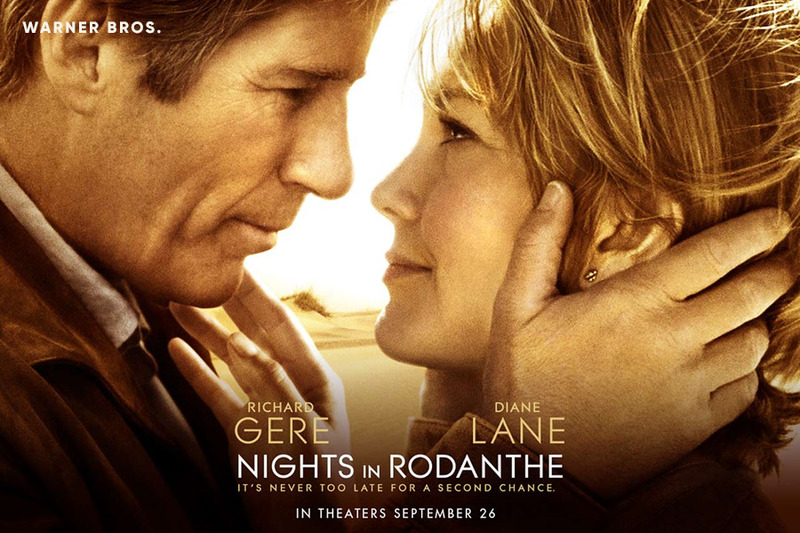 Which is ironic considering that the movie is literally about Diane Lane traveling to Italy by herself. 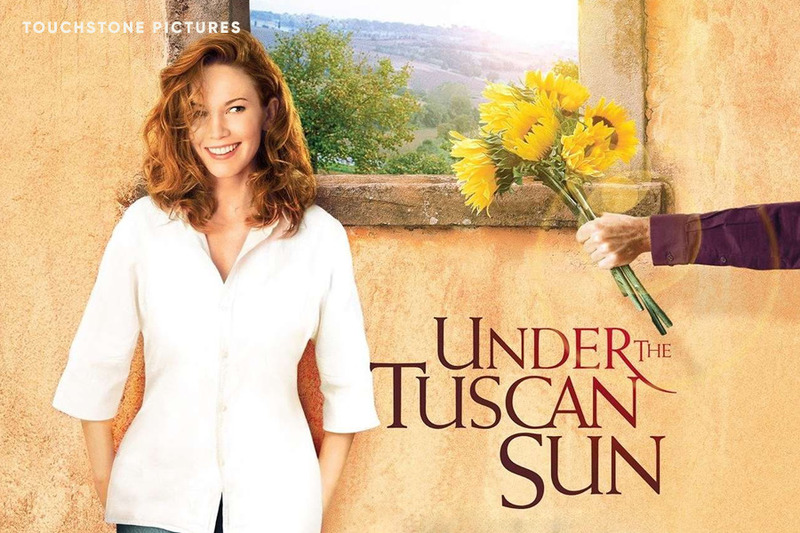 In Under the Tuscan Sun Diane Lane plays a divorcée who spontaneously buys and renovates an Italian villa, and forms all kinds of meaningful relationships in the process. The real life "Villa Bramasole" is actually the expansive Villa Laura, which as I mentioned before, costs a pretty penny. 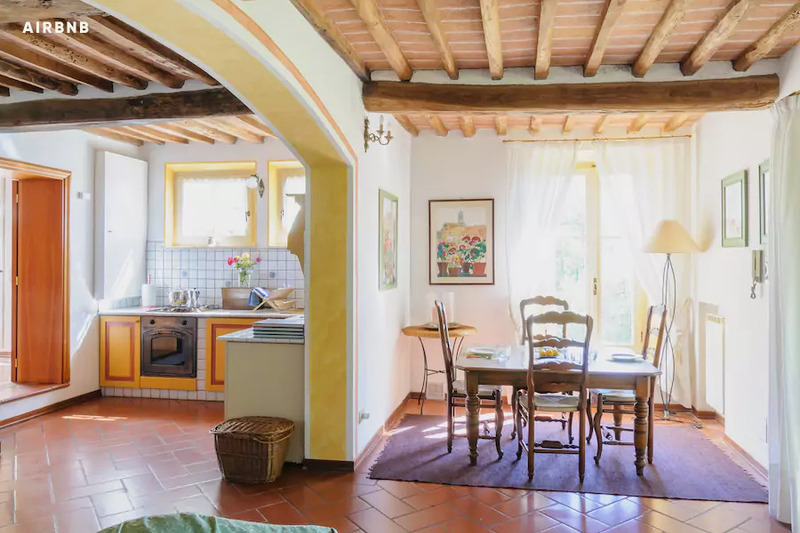 The good news is that yellow tuscan villas are all over Airbnb, and a lot less expensive. 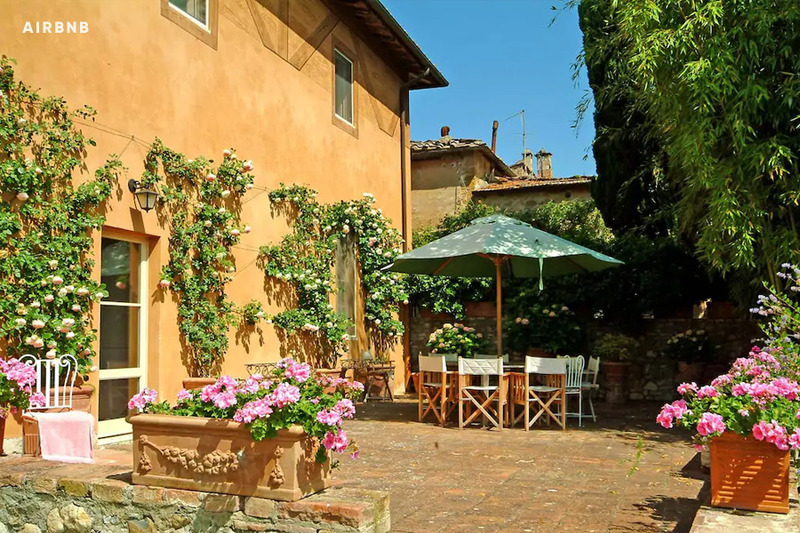 My favorite of the options is Villa La Scuola at $118 a night. 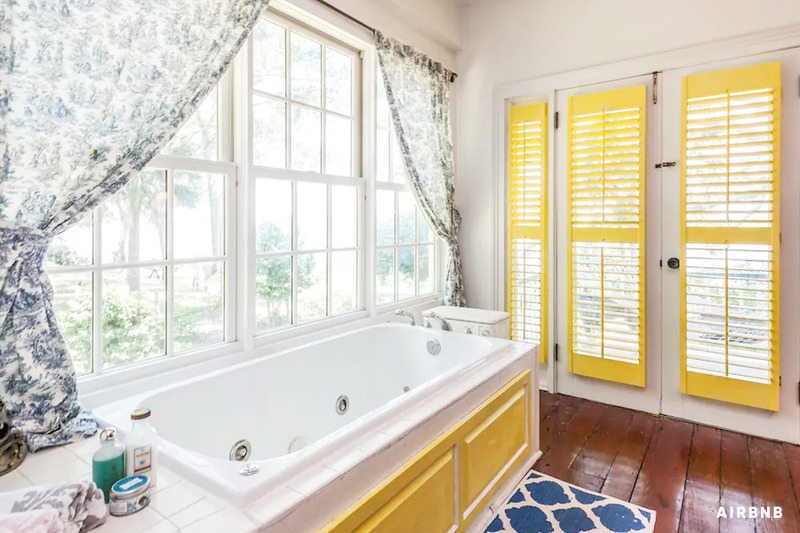 Not only does it have the characteristic yellow and green exterior, the theme is brought inside with bright lemony kitchens and sage accents, plus curved archways separating the rooms. There's even a gorgeous plant covered garden and patio that would be perfect for hosting a small wedding... just sayin'. Villa La Scuola has step-free access, a brightly lit and flat path to the front door, along with a wide doorway. 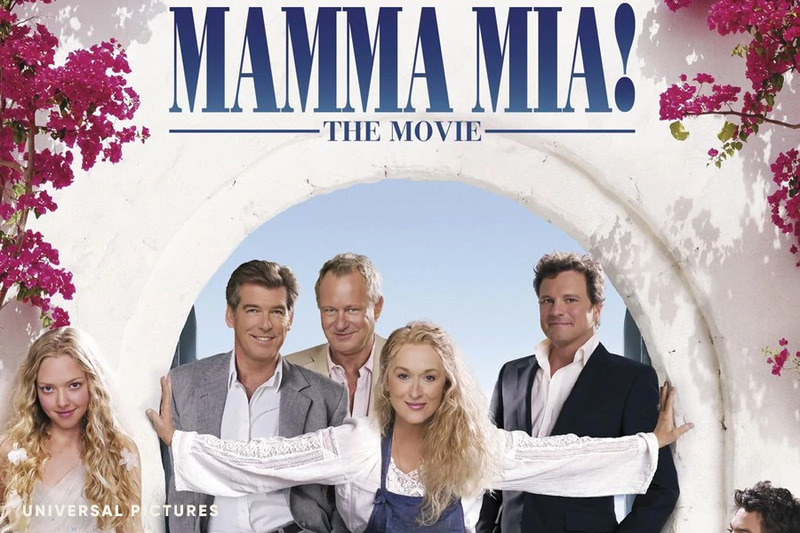 The movie musical that launched a thousand trips to Greece. In the movie, Meryl Streep's character Donna runs the dreamy Hotel Bella Donna, perched at the top of a cliff on the Greek island of Skopelos. Unfortunately there is no "real" Hotel Bella Donna as it was just a set, though there is the "Hotel Pyros" located nearby, where Meryl Streep would rest between filming. But while stunning in its own way, Pyros' stony interiors doesn't quite invoke the bright, airy and optimistic charm of the Bella Donna. This Airbnb on Skopelos at $42/night however hits all the right notes: bright white walls with pops of blue, perfectly lived in furniture that looks like it came out of an Anthropologie catalog, and shuttered windows you can dramatically throw open and sing your heart out of. This airbnb has a well-lit path to its entrance but relies on stairs to access bedrooms on the upper floors. 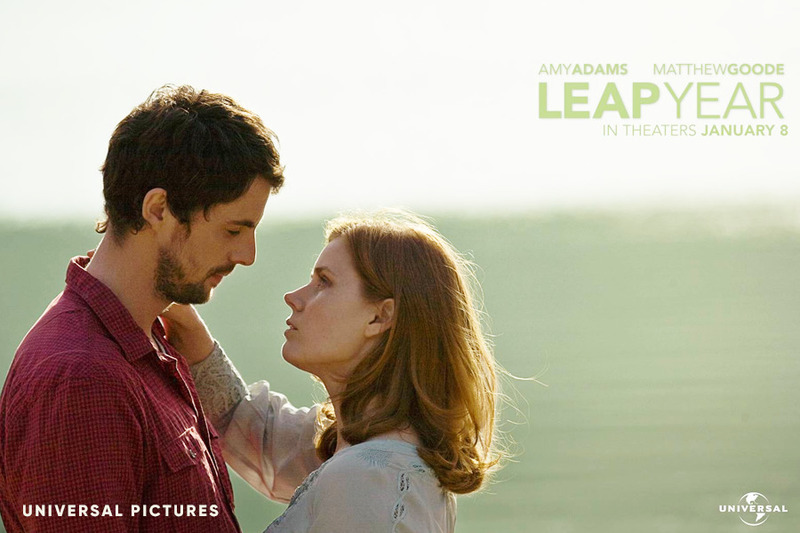 In Leap Year, Amy Adams hires a surly Irishman played by Matthew Goode to drive her across the country so she can propose to her boyfriend in Dublin. Naturally, hijinks and sexual tension ensue. 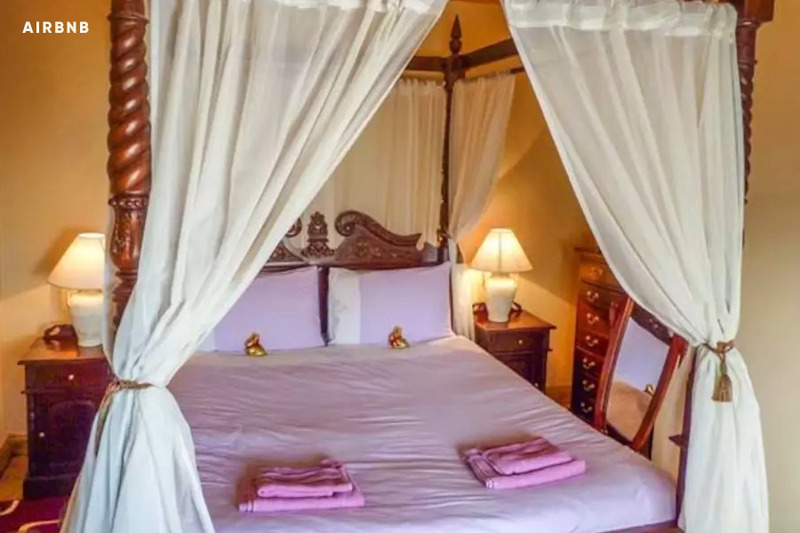 In one of the more memorable scenes, Adams and Goode have to share a tiny bed in a cozy countryside cottage, as they must convince the conservative innkeepers that they're married. You know, classic rom-com problems. 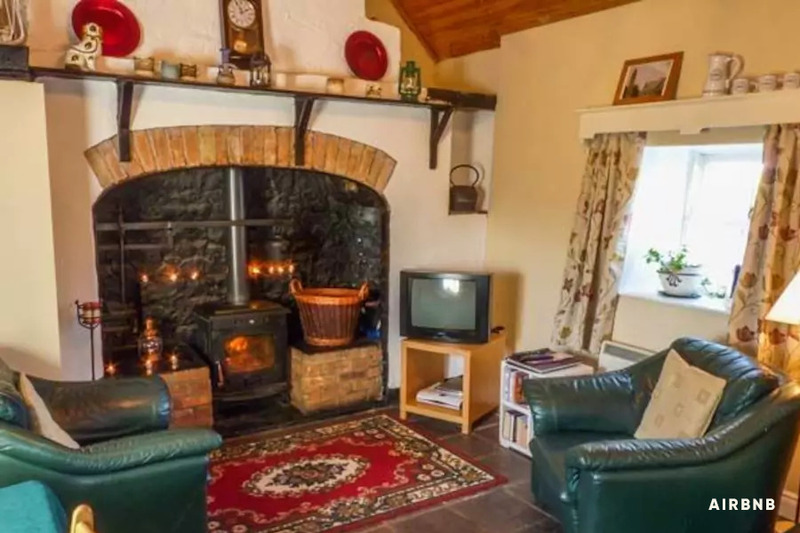 While the film's bed and breakfast was a set, you can find many similar homes in Tipperary, Ireland— like this Airbnb for $67/night. It's got a fire place, cozy leather couches and red accents, plus the bed is honestly an upgrade from the one in the film. 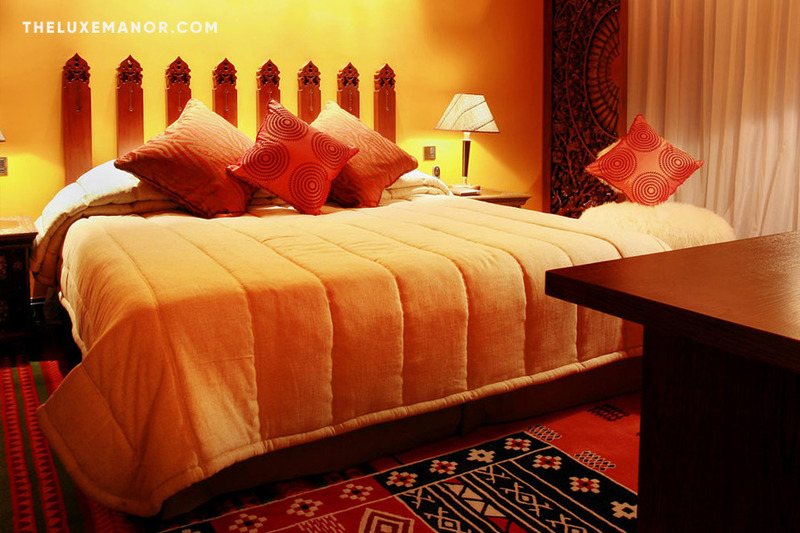 Even better, you'd have the place all to yourself— no nosy innkeepers in sight. This entire Airbnb unit is a single story, however its entrance is unpaved. 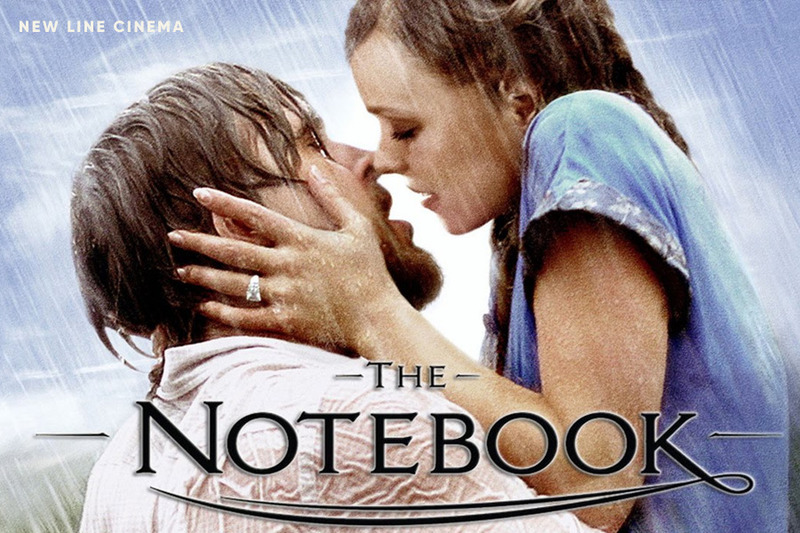 In The Notebook, Ryan Gosling builds Rachel McAdams a house even though they haven't been together in years. Sorry, it's not just a house— it's her dream home, a symbol of his love, and an entire generation's unrealistic expectations. 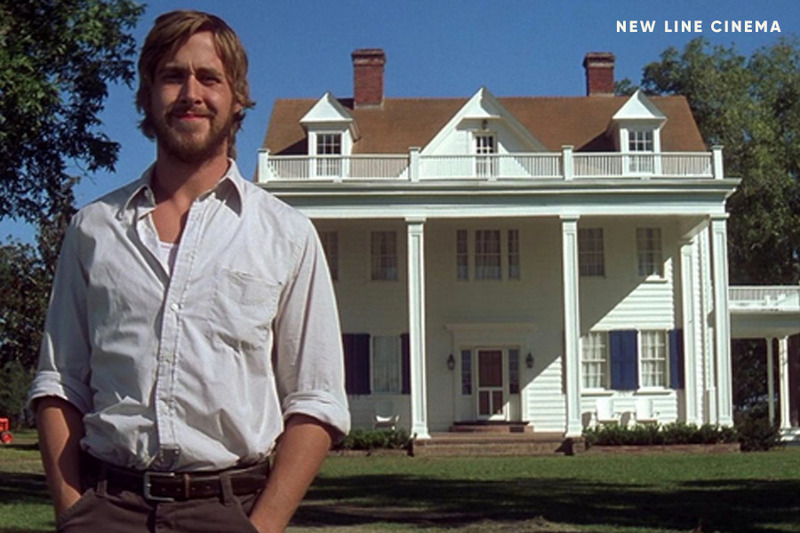 The actual house that was used in the film is Martin's Point Plantation and is a private residence on Wadmalaw Island in South Carolina. The owners have apparently had to deal with many fans wandering onto their property, much to their annoyance. Instead of trespassing you can find a little southern hospitality at this Airbnb, also located on Wadmalaw Island. 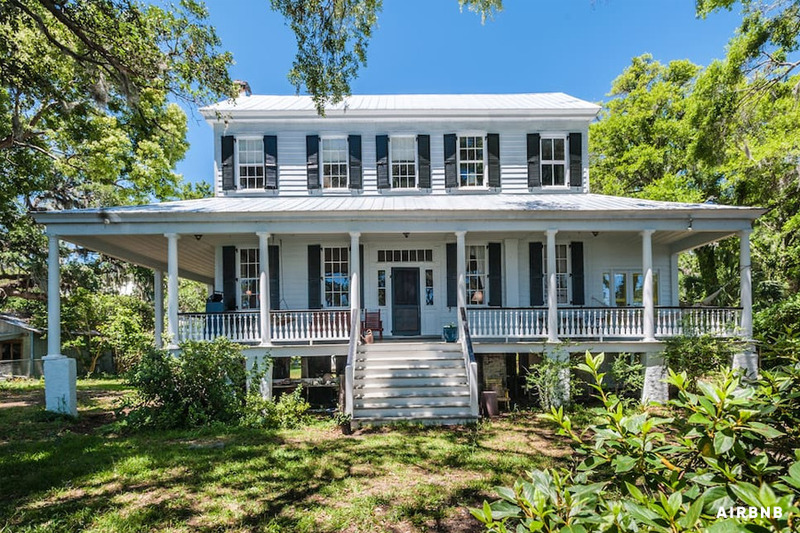 Similar to the original it has white clapboard siding, shuttered windows, a gorgeous porch perfect for painting on, and lots of wooden furniture and accents. You can fit up to ten guests here for $200/night. In order to access this home you must climb stairs. 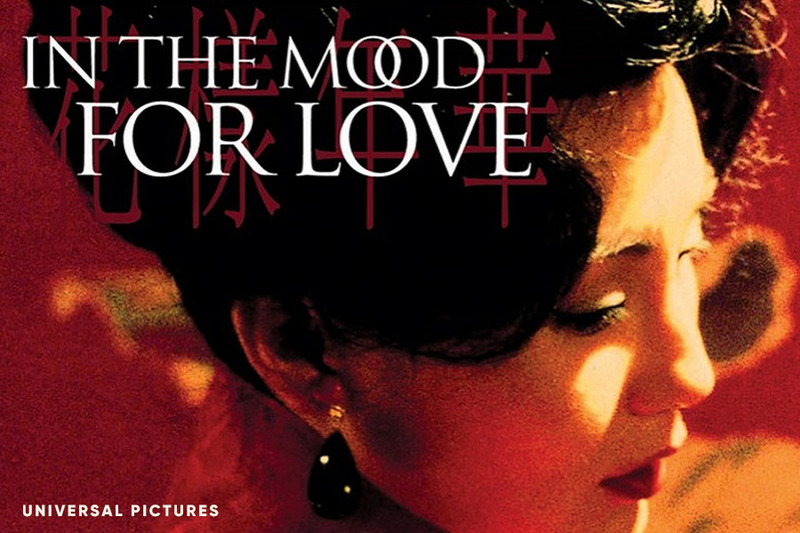 In The Mood For Love follows two neighbors in 1960's Hong Kong who both suspect their spouses are having an affair— with each other. So much of the film is dominated by punchy colors and patterns; deep reds, oranges, and splashes of purple. Much of it also takes place in homes and hotel rooms. The film was actually mostly shot in Bangkok, and of the few scenes shot in Hong Kong, many of the locations have changed dramatically since the movie was released in 2000. That's what makes finding an approximate Airbnb somewhat difficult. 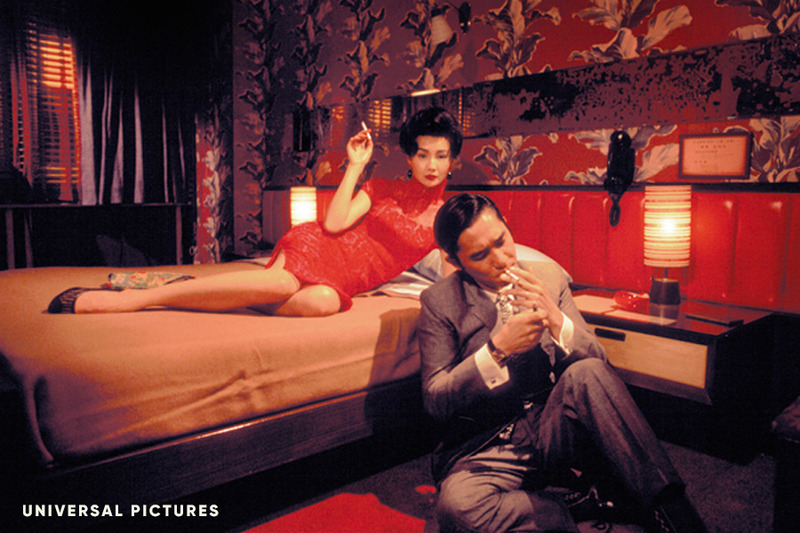 The set design for In The Mood For Love is very representative of its time and today, bold graphic wallpaper has been replaced with minimalism and large glass windows. 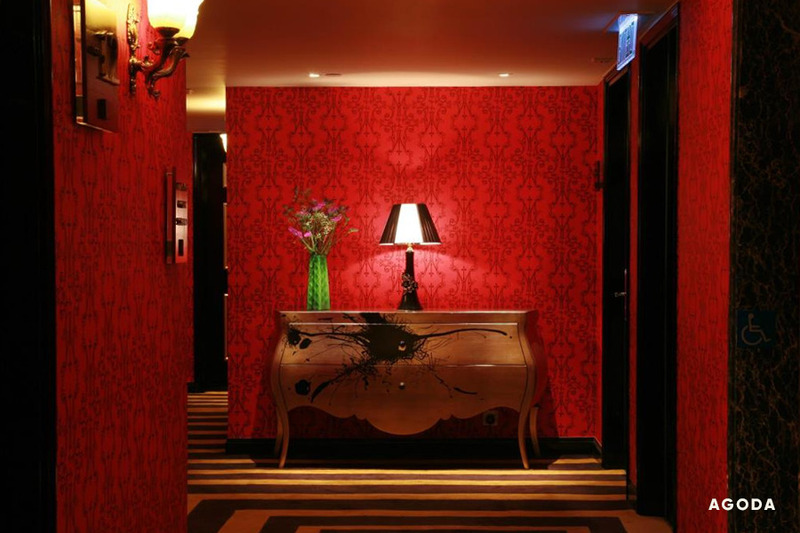 However, you can find the best of both worlds— that's the film's signature color and patterns with today's modern luxury— at The Luxe Manor hotel in the Kowloon area of Hong Kong. The Luxe Manor has in-room accessibility and roll-in showers. 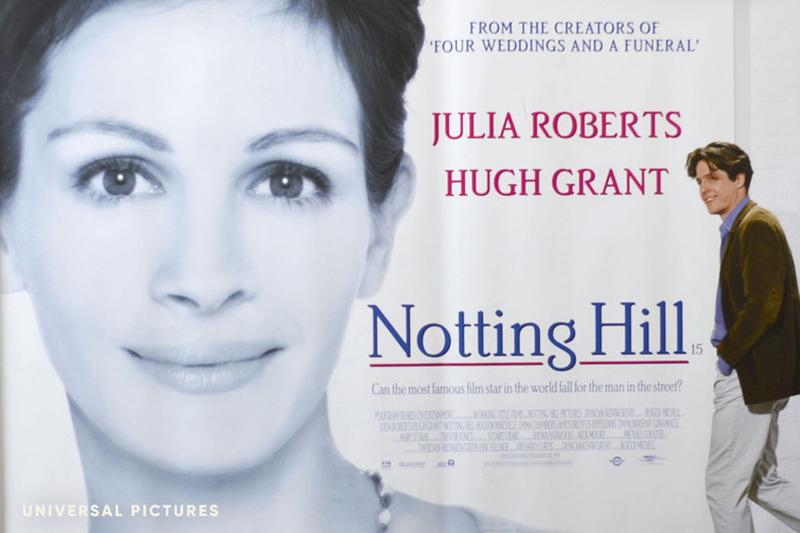 In Notting Hill Hugh Grant plays Will, the owner of a travel bookstore (be still my heart) who meets and forms a relationship with a famous actress played by Julia Roberts. Several pivotal scenes take place in Will's Notting Hill flat— which looks like a charming yet realistically lived-in bachelor pad. The apartment's exterior is known for its iconic blue door, which in real life belonged to the film's screenwriter. Finding an apartment that looks like Will's today is a bit challenging, as it such a product of its time and that time was the late 90's. 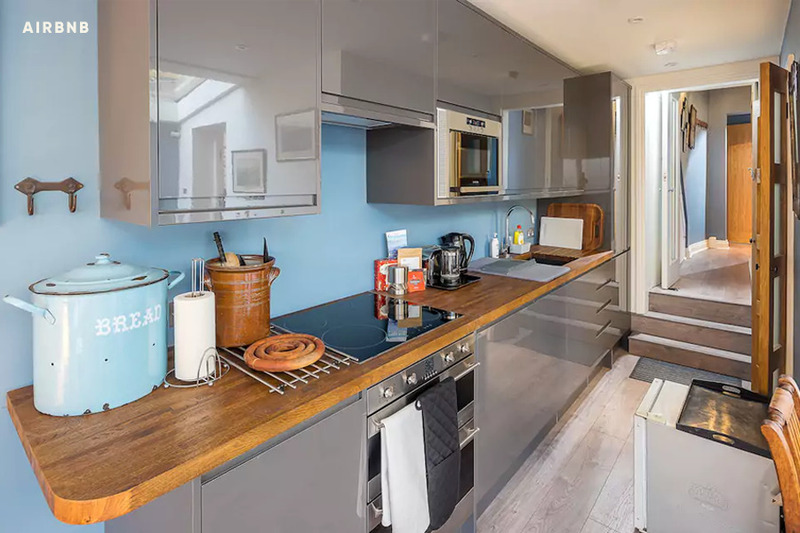 It's an aesthetic that most of Notting Hill's tasteful Airbnb hosts seem to want to avoid today. However, this unit for $215/night comes close. It has a very similar layout to Will's apartment with a thin kitchen and large glass windows at the end of the room for tons of light. It's even got a blue door like the original, and blue walls on the interior to suit the theme. 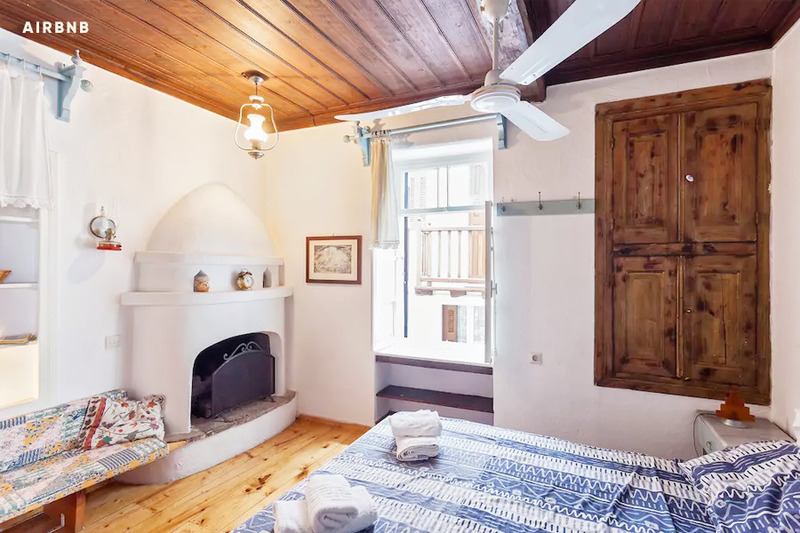 There are a few small steps from the apartment's entryway into the kitchen, but we recommended reaching out directly to the Airbnb host for more accessibility information.. 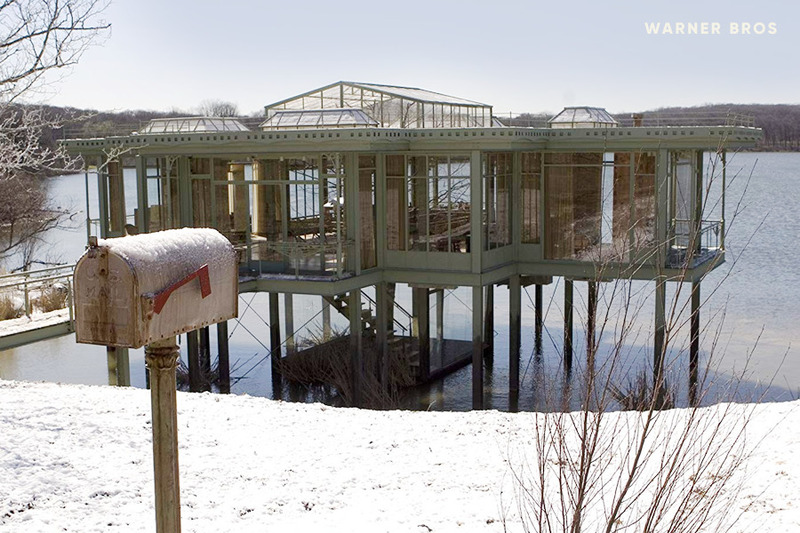 The eponymous lake house is probably one of my favorite movie homes of all time. They custom-built the steel and glass home from scratch for the film after weeks of location scouting around Chicago and failing to find an existing building that met their needs. The architects claim that the house was inspired by 1960's glass houses, the Regency period, as well as greenhouses. 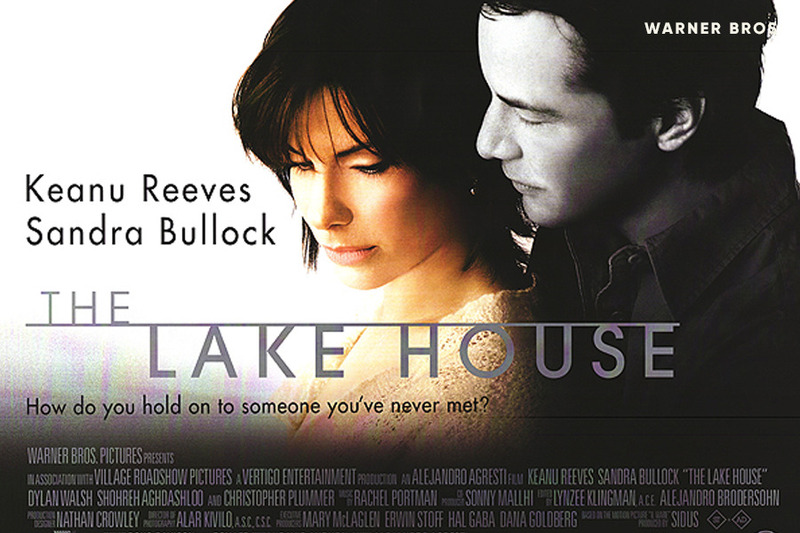 They were able to film the movie at Maple Lake near Chicago under the agreement that the lake be returned to its prior condition after filming wrapped— which meant demolishing the lake house, much to everyone's disappointment. For my affordable alternative I may have cheated a little. 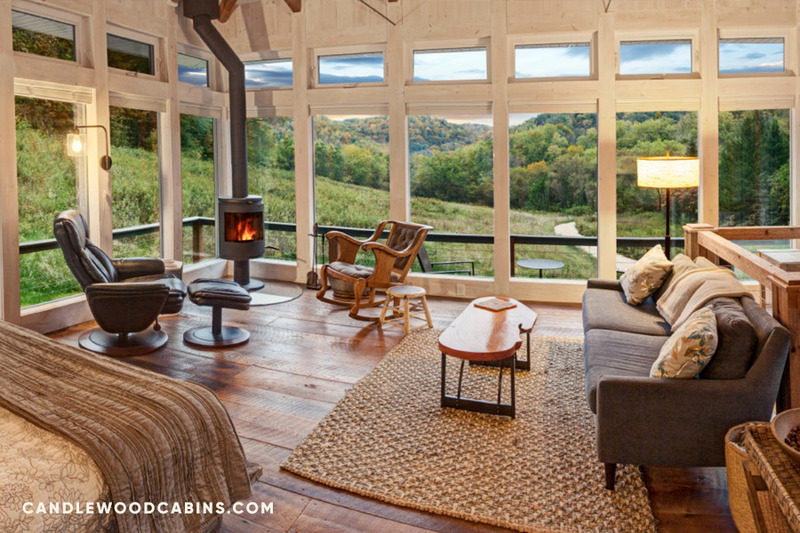 Candlewood Cabins' Meadow House is a gorgeous square glass building, raised slightly above the ground with rustic yet minimal wooden interiors, just like the one from the movie. No, it's not on a lake, but it is right by a river and a pond. But to be fair, even an actual film crew and professional location scouts couldn't find something like this on an actual lake. 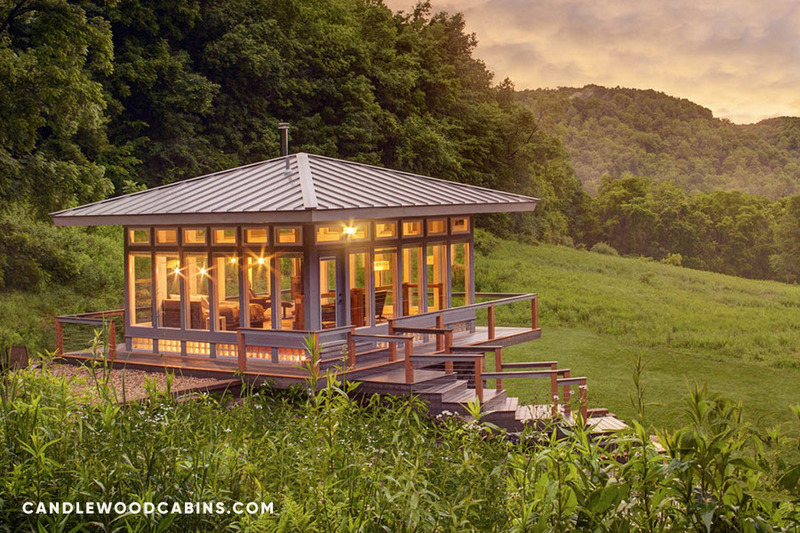 Candlewood Cabins is about 3.5 hours out of Chicago, across the Wisconsin border. The Meadow House's rates are currently $195/night but will go up to $245 in 2019. Access to Meadow House requires ascending a flight of stairs from an unpaved road. Turns out, Diane Lane characters have really great— and really expensive— taste in where to stay. 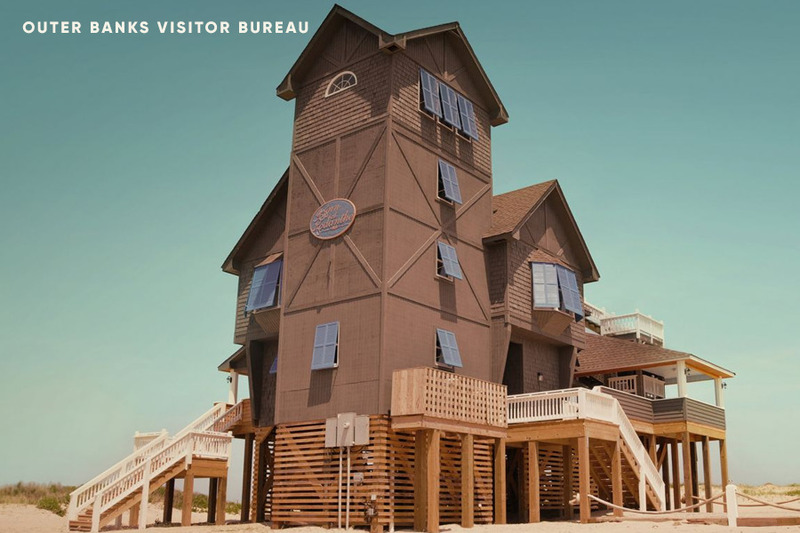 In Nights in Rodanthe Lane's character is operating her friend's bed and breakfast, an iconic and towering building right on the seashore in North Carolina's outer banks, with shingled siding and beachy blue interiors. The original building was built in the 1980s and was condemned and deemed unsafe by local officials shortly after filming. A year after the film was released a couple that claim to be huge fans of the movie purchased the inn and actually had the entire building physically relocated to a safer beachfront location. 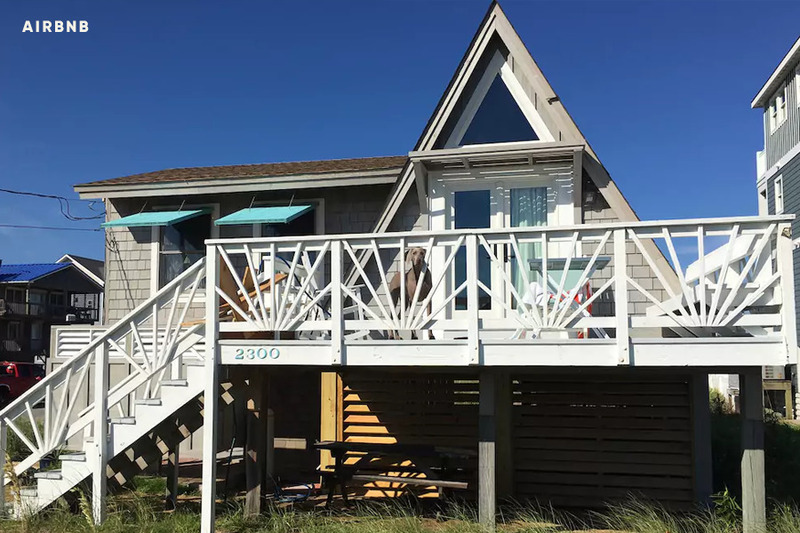 The inn is now known as The Inn at Rodanthe and you can stay there for $1995/week, with a one week minimum stay. 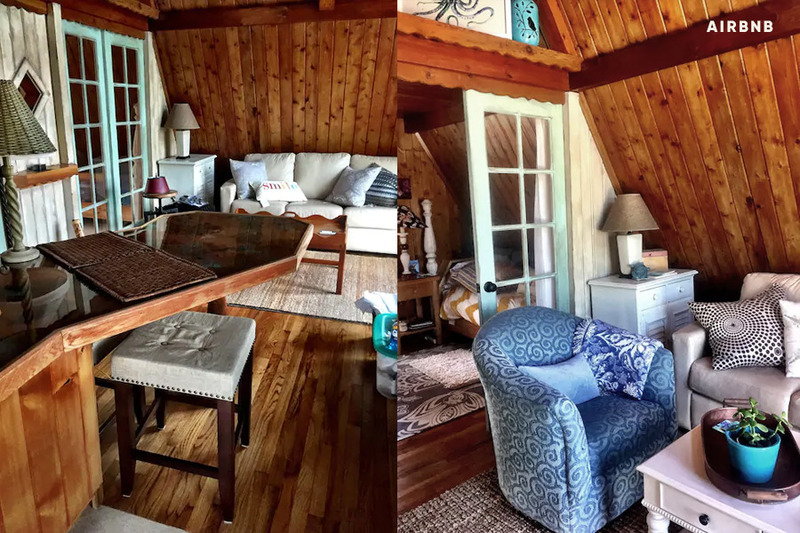 Or, you can make your way a little further up the banks to this Airbnb in Kill Devil Hills for $115/night. While you're staying there you can just imagine that they remade the film today except with Diane Lane as a millennial tending to her friend's two-bedroom Airbnb and it'll all make sense. Access to this Airbnb requires ascending a flight of stairs off of an unpaved path. BRB going to rewatch all of these movies now.